My second day in Cairns was a hunting adventure. 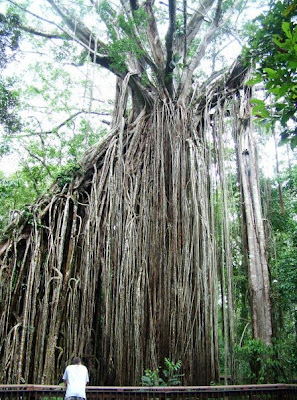 A hunt for the mystical tree the locals call 'the Curtain Fig Tree'. This 800 year old Fig Tree fell against another tree at some stage during its life. The strangling vines then began to grow down with the tree at such an angle that it created this beautiful curtain effect.